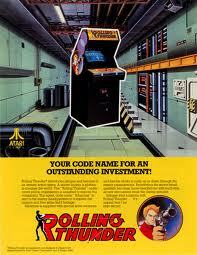 This classic game was a side-scrolling run 'n gun game produced by good old Namco back in 1986. This arcade coin-op utilised Namco's own 'System 86' hardware which led to the smooth scrolling and unusual yet stylish graphics. 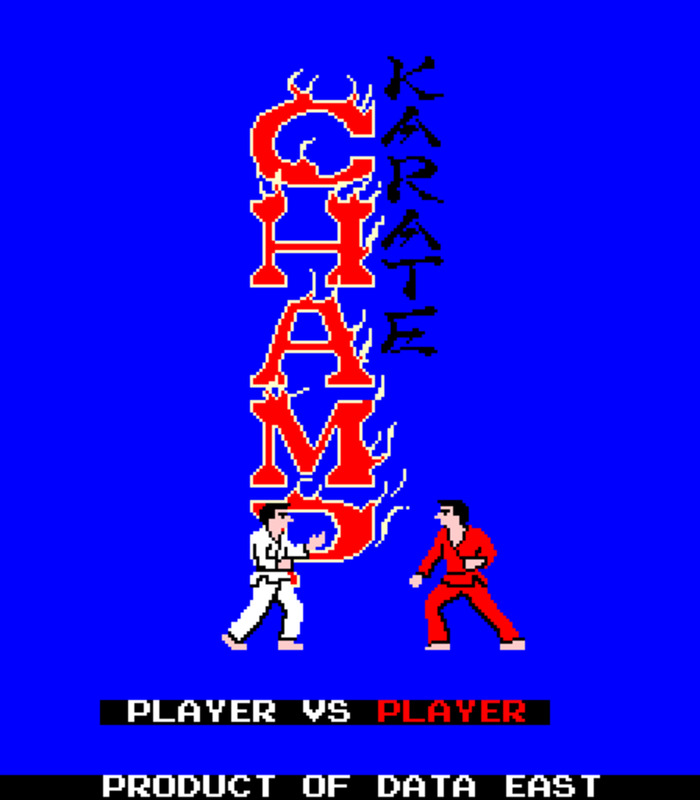 It was distributed internationally by Atari (except in Japan) and ended up being yet another huge hit for Namco. In the game the player took control of a secret agent who must rescue a fellow female agent from a secret terrorist organization. The game was so popular it spawned a sequel and was also converted to almost every home computer and gaming console of the era. The player took control of a secret agent with the amusing codename of 'Albatross'. As a member of the World Crime Police Organization who also had a codename ('Rolling Thunder'), Albatross was a top operative from the espionage division. The mission was to save a missing female agent named Leila Blitz (how come she doesn't have a codename?) from the evil organisation known as 'Geldra' who had set up a base of operations in New York city. The scene was set, the mission was accepted. The player had to move through two different segments or stories, with each being composed of five stages making a grand total of ten stages. The game was a side scrolling affair with movement in both directions across the horizontal axis. 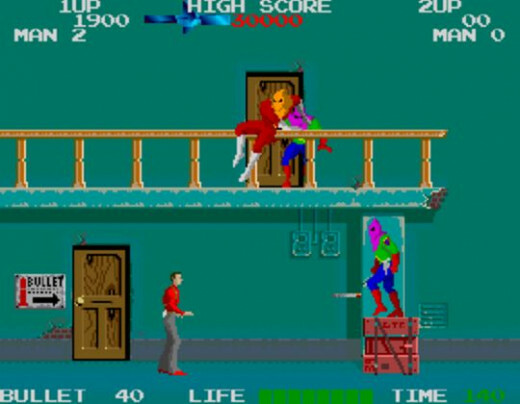 One aspect that set this game apart from other side scrollers of the time (such as the excellent Green Beret) was the ability to enter doors to hide from enemies (by moving 'into the screen'), as well as jumping to higher or lower floors with rails, including stairs. The doors would also sometimes contain weapons power-ups and extra ammunition so they had multiple uses. 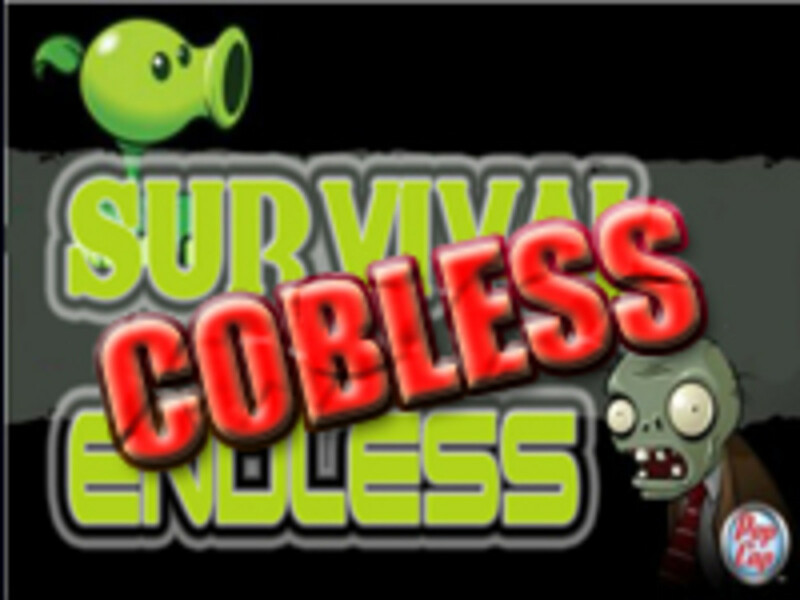 As the game progressed the stages, as you would expect, increased in difficulty. The stages in 'Story 2' are essentially harder version of 'Story 1' levels, featuring more traps and different enemy placement. At the end of each stage, scenes from Leila's capture and ensuing torture are shown on a large monitor screen. 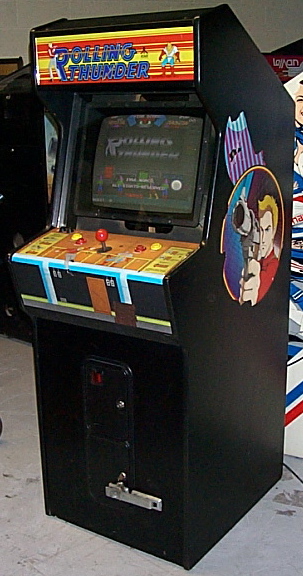 The player began the game armed with a standard issue pistol, which could be swapped for a fully automatic assault rife which allowed for continual firing by holding down the shoot button. Ammunition for either weapon was obtained by entering doors marked 'bullets' or 'arms'. If the player ran out of assault rife ammo then the weapon automatically switched back to the standard pistol. However, if the pistol ran dry then the player was reduced to firing a slow 'chaser' bullet (with only one round on-screen at a time) until better ammo was acquired. The players life meter was a little deceptive; the player can only take two physical hits from the enemy before losing a life. A single hit drains half of the meter and the player is killed instantly when struck by a projectile attack such as enemy bullets or those sneaky gun-emplacement lasers. The main enemies in this game were hooded soldiers known as 'Maskers'. These guys were dressed in various outfits and colours which determined their strength and attack pattern. Some Maskers did not shoot at you and would throw grenades instead. Others would take pot shots at you only from a crouching position. As you progressed various other enemies you would encounter included ninjas, mutated bats (known as Gelzos, I love the names in this game! ), black panthers, shrieking yellow creatures known as Blogas and the slightly psychedelic lava men. At the end of the final stage, the player had to do battle with the Geldra leader 'Maboo' to ensure the successful rescue of Leila. The music featured in this game matched the gameplay superbly. The action was fast paced from the outset and the music was set against it at the same frenetic pace. The game managed to generate an atmosphere of 1960s spying and secret agents, and the music rounded off the overall feel perfectly. All of the music in Rolling Thunder was great - there are a lot of 'toe tappers' to wrap your ears around! 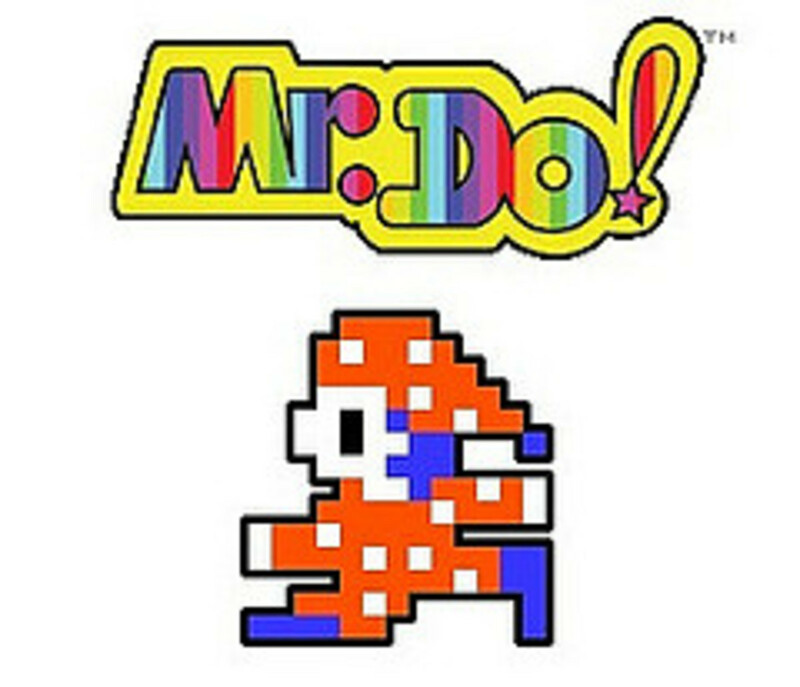 With this game being popular it was converted to home computers and consoles such as the ZX Spectrum, Commodore 64 and Amstrad CPC. In the 16-bit world both Commodore Amiga and Atari ST users had versions they could play on their respective machines. NES and Megadrive owners were also treated to conversions of the game. All of them were pretty playable versions but none managed to fully capture the magic of the arcade original. This game (for me) is a real arcade classic. I generally liked Namco's output and this game was no exception. There was just something compelling about it; the level design, the doors with extra ammunition, the henchmen, the way the characters were drawn and even the in-game music added to the frantic pace of the game which all went together to create an authentic 1960s 'spy' atmosphere. 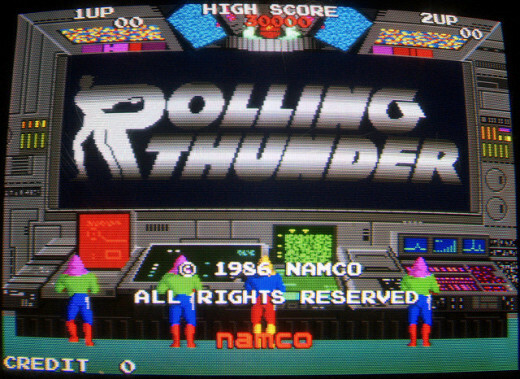 Overall 'Rolling Thunder' is a fine example of 1980s arcade gaming that is now regarded as a classic in the run 'n gun side scrolling genre. Why on earth could the frog not swim? 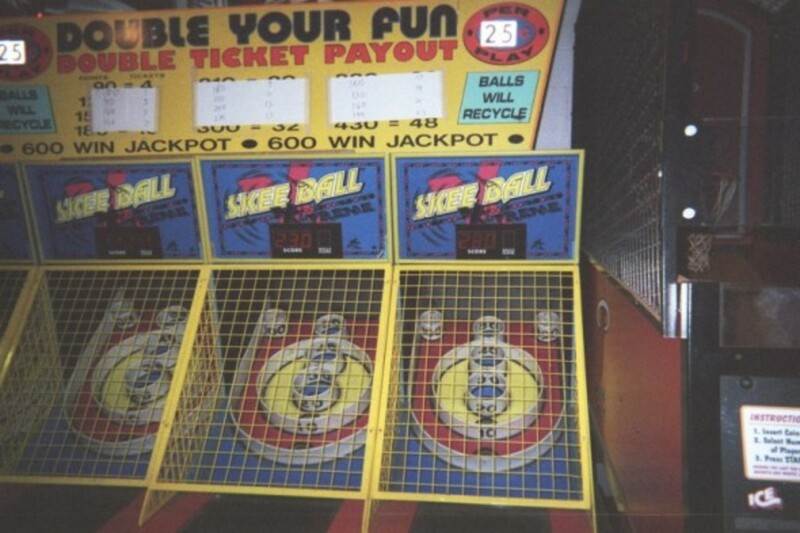 Let's Play Skeeball - Tips and Tricks to Make You a Winner! Any fans of Rolling Thunder? Well that would be some collection! 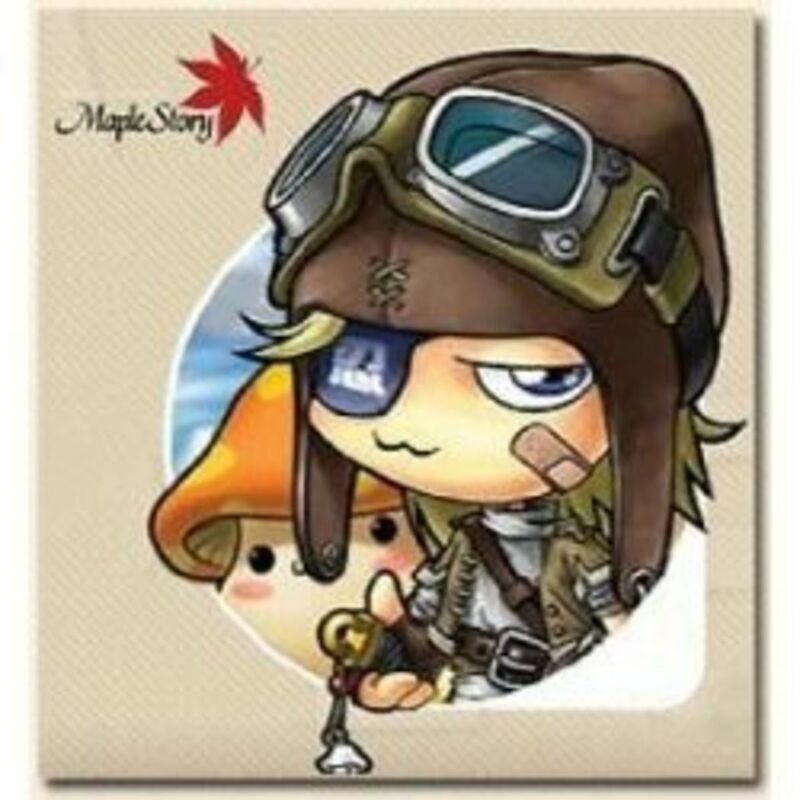 I have other hubs on some of the games you mentioned there, I will attempt to cover them all!